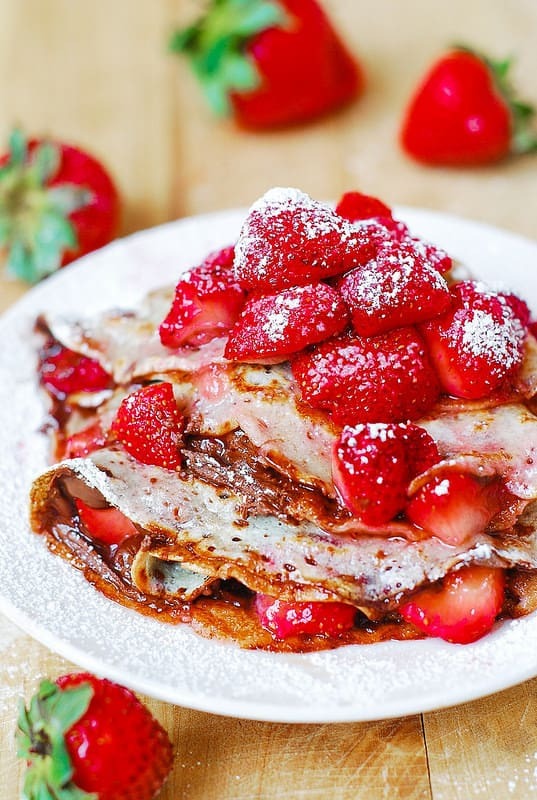 Strawberry and Nutella crepes – a simple and delicious dessert for chocolate lovers! It also makes a delicious breakfast! 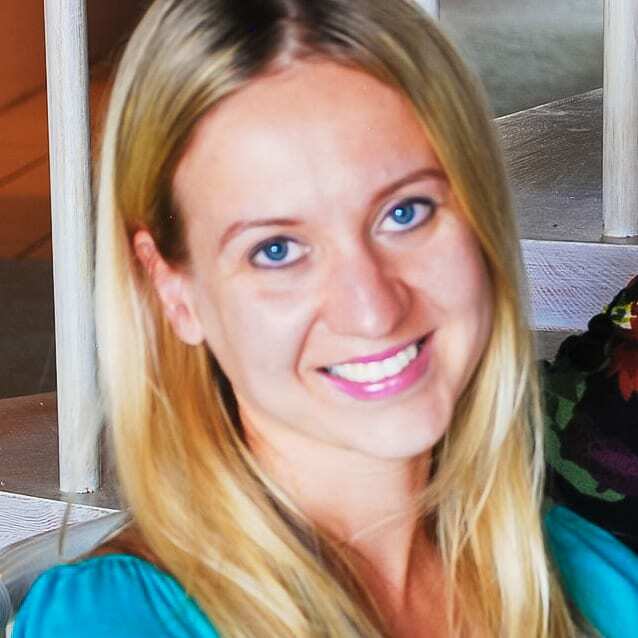 Crepes are made from scratch – I provide both regular crepe recipe and gluten free crepe recipe. First, make the crepes from scratch (or you can use store-bought crepes too). Here is the detailed tutorial with step-by-step photos and recipe for how to make crepes from scratch in a regular skillet. If you’re gluten free, I also have a detailed tutorial for how to make gluten free crepes. Strawberries can be added as-is, or you can add some sugar to sliced strawberries and let them sit for a while in a mixing bowl to release their juices. 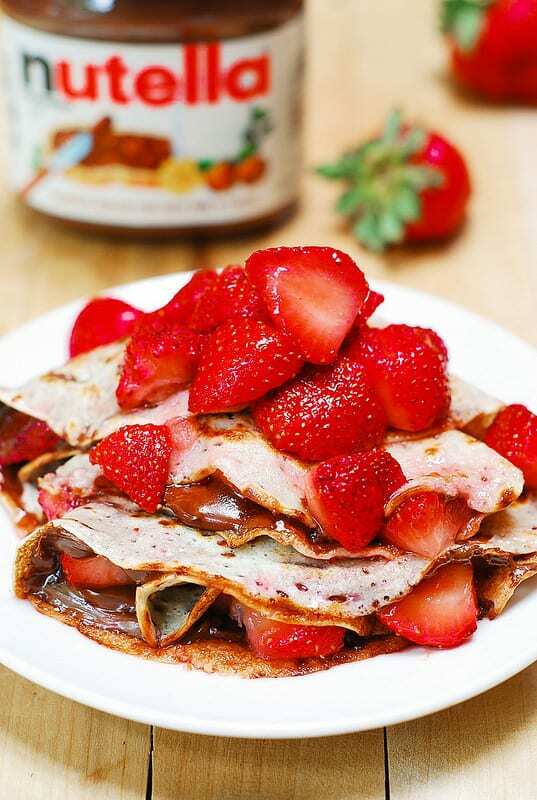 Strawberry and Nutella crepes - homemade crepes with a chocolate strawberry filling. 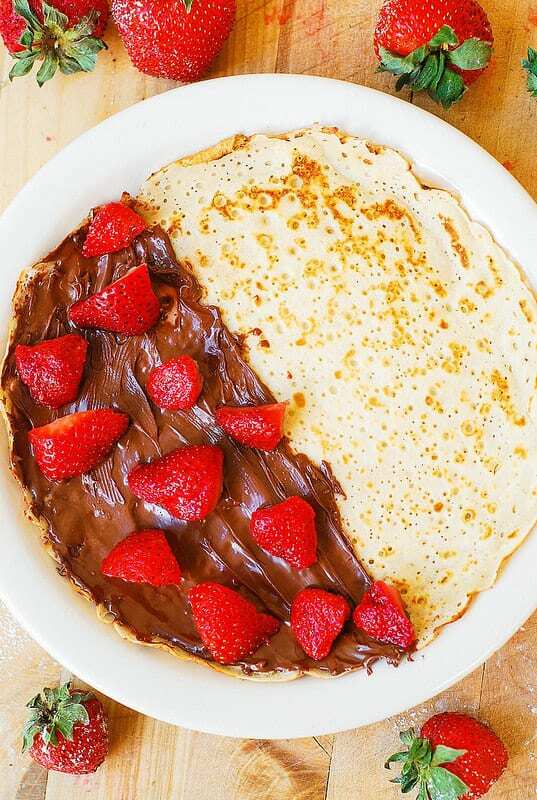 Learn to make crepes from scratch and then stuff them Nutella and berries! Make regular crepes from scratch according to this recipe. 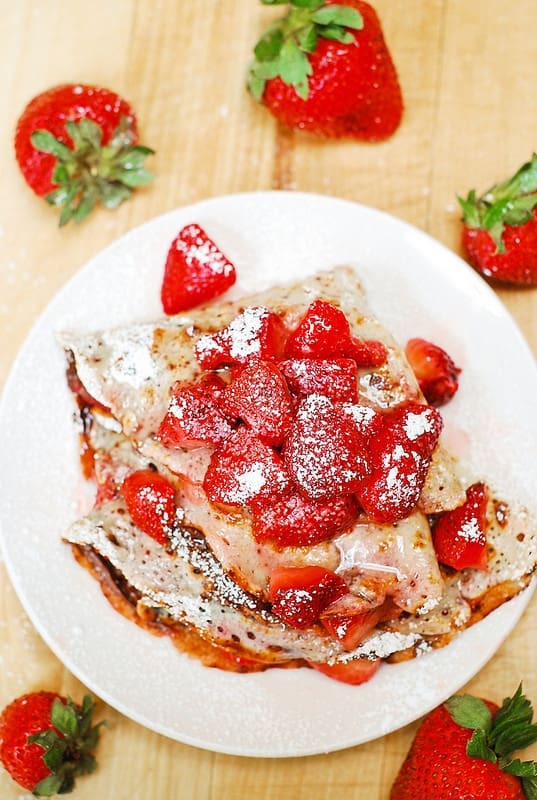 If you're gluten free, make gluten free crepes according to this gluten free crepe recipe. Place a single crepe on a plate. 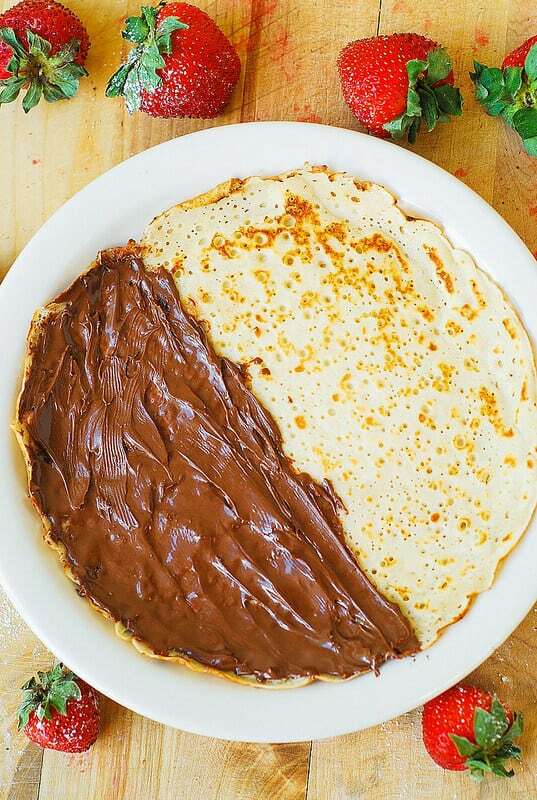 Spread Nutella over one half of the crepe. 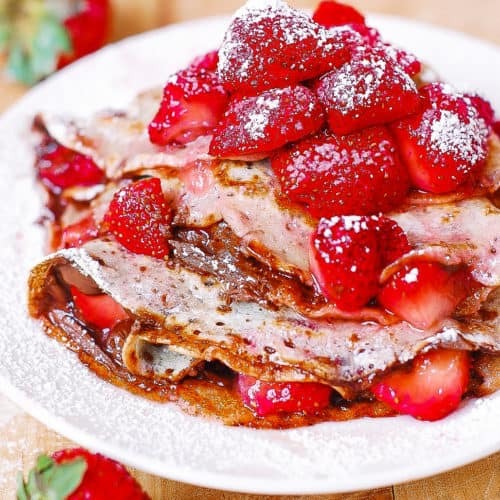 Arrange strawberry slices on top of the crepe over the Nutella. Fold the crepe in half, then fold it one more time to form a triangle. Top with more sliced strawberries. Note: The cooking time does not include the time to make the crepes. It is assumed that you already made the crepes.